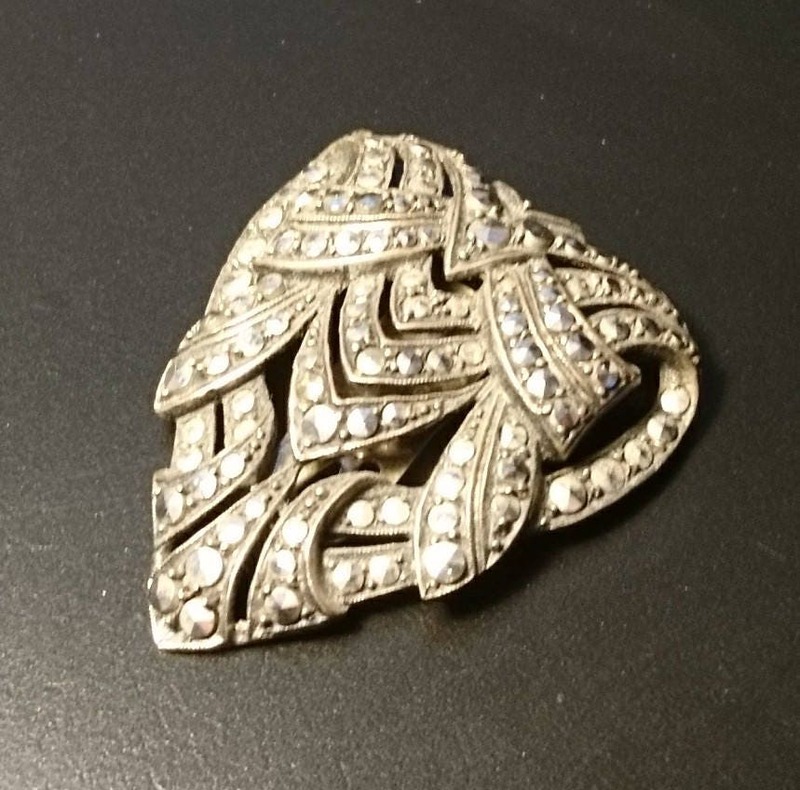 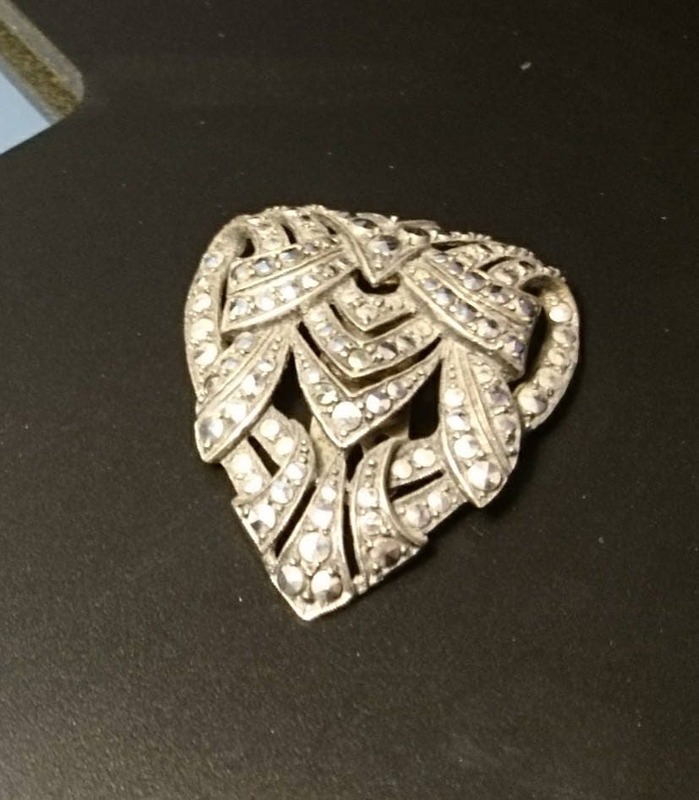 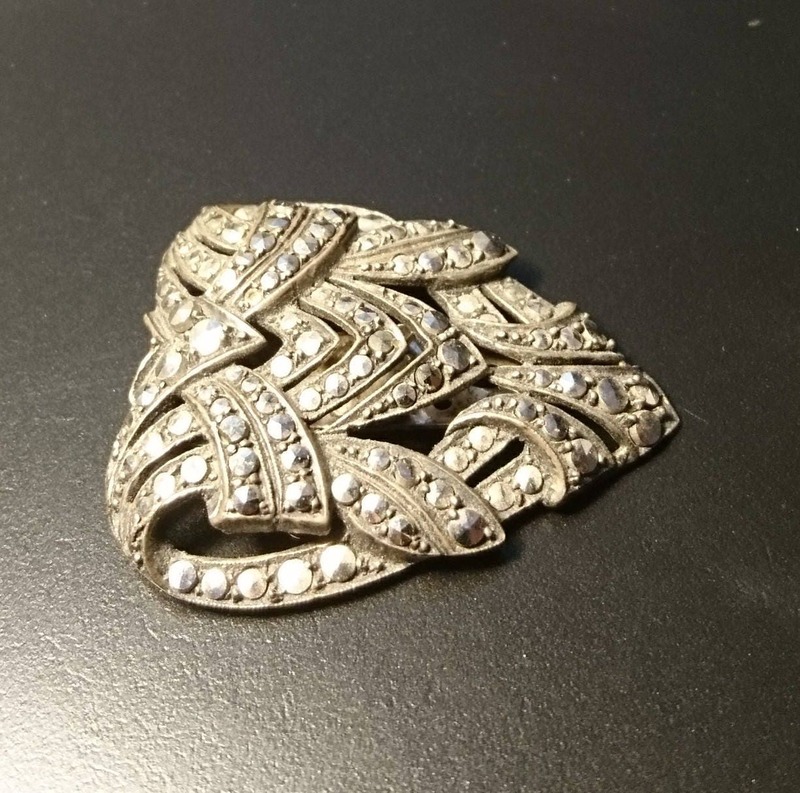 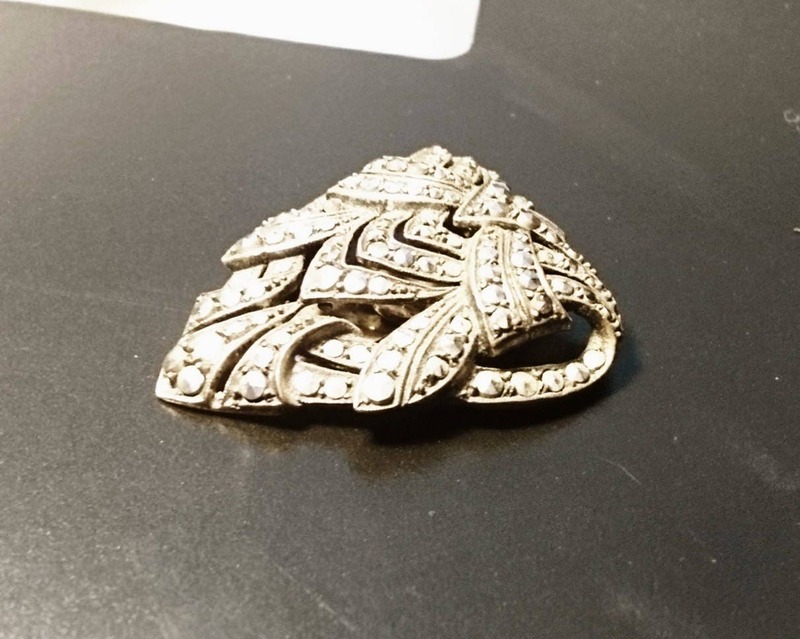 A gorgeous 1920's Art Deco dress clip. 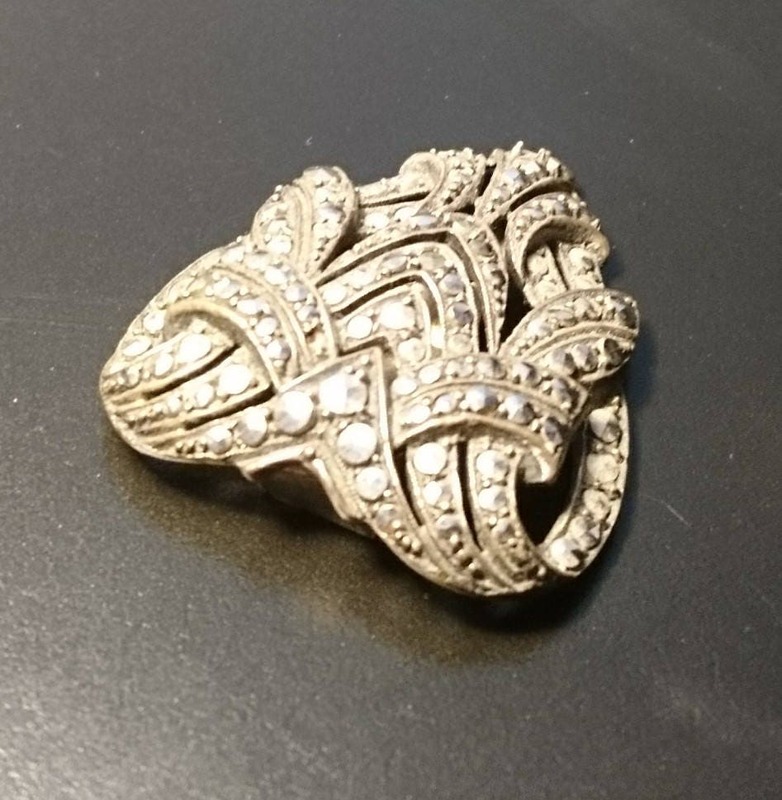 Beautiful ornate design with all over marcasite stones and a silver metal clip at the back. 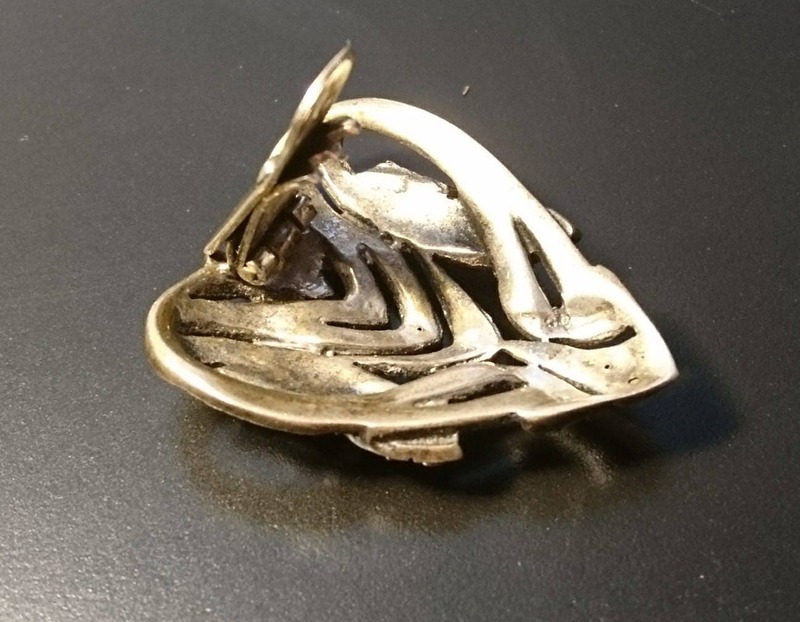 No marks present but tests as a low percentage silver. 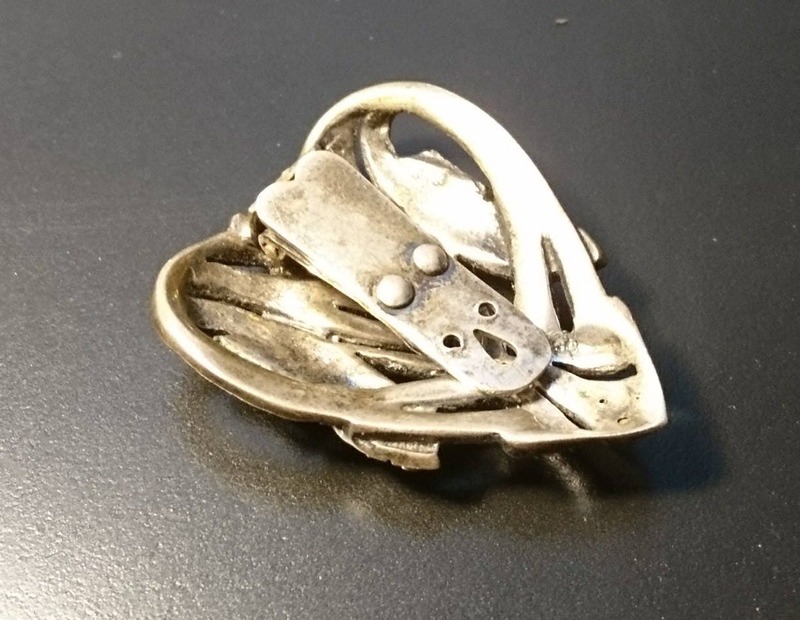 1.5" length and 1.3" width.